LPL lens board for enlarging lenses with 25mm mounting thread. Please check the thread diameter of your lens. The lensboard is threaded, so no retaining ring or mounting flange is required. 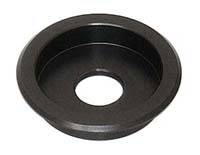 Lensmounts with 32.5mm, 39mm, 42mm, 50mm, 53mm, and 55mm thread are also available.